In this issue, the pieces attempt playfully to free language of its burdensome obligation as the transmitter of meaning and ideas. The common aim of concrete poetry is to enable semiotics to stand alone as an object, in and of itself, free from objectification. Constantly evaluating the ambiguity and contradiction of this task, the pieces forever fold in on themselves, making the point—if ever—only momentarily possible. 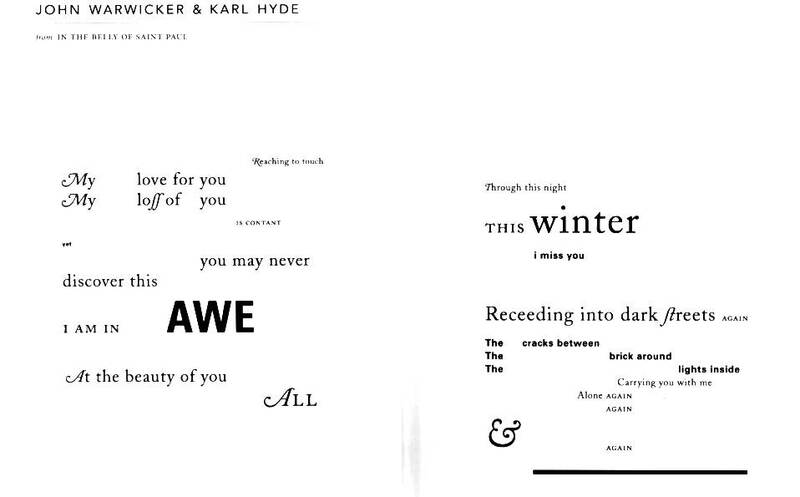 Warkicker and Hyde, taking samples of spoken language and placing them on paper, examine how modes of communication transform the ways in which meaning is conveyed. This eight-page extract—a series of poems appearing in shapes of infrastructure—attempts to capture the city’s mutableness by analogising the flux of infrastructure with that of language, giving the work a distinct O’Haraesque feel. The pieces show us that, like infrastructure, language is a dynamic entity with which we interact and, through interaction, participate in the continual deconstruction, construction, and reinvention of the ability to perceive meaning and experience. I particularly enjoyed the pieces with colour, especially ‘A Quiet Voice’ by Australian artist and poet Angela Garnder. 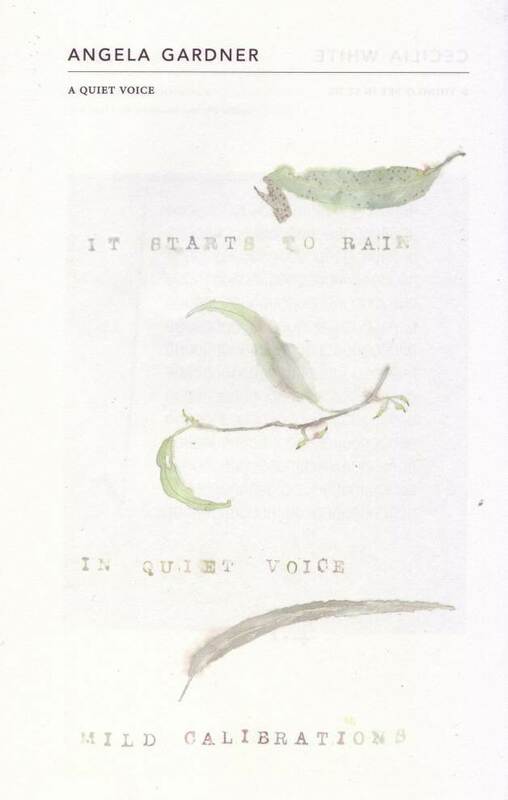 In ‘A Quiet Voice’—a stunning fusion of watercolour, origami and poetry—Gardner delicately uses space and silence as an additional form of expression, and catalyst, that swings the reader between reading and viewing. 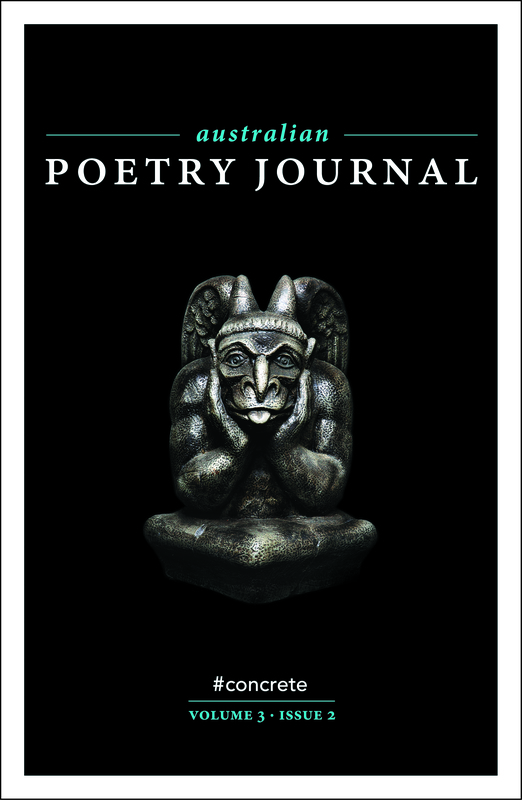 Karl Kempton has two poems appearing in this issue of the Australian Poetry Journal, the first of which is called ‘Playground’. 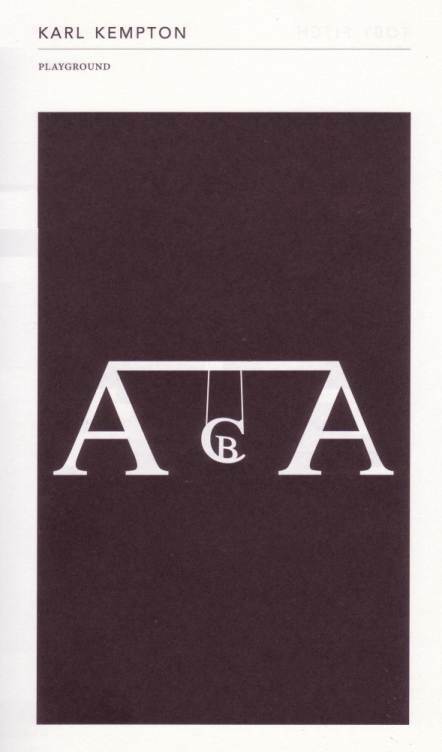 In a universally recognisable way, Kempton arranges the first three letters of the English alphabet—A, B, & C—to resemble that of a child’s A-frame swing set, making the poem both inclusive and amusing. ‘Playground’, a seemingly straightforward visual poem, represents much more than language at play. It simply, yet sophisticatedly, analyses how language and child’s play inform one another, and explores how these interactions are responsible for, or at least influence, the invention of semantics. A fascination with the development and understanding of symbols and meaning is the common thread running throughout the journal. Most poems, in one way or another, weave and capture the repetition and playfulness of the sight-sound blending that occurs during language development. They highlight the innocence and freedom that children have prior to developing metacognition and consider, critically, the purpose of knowing about knowing. While none of this is ground breaking or revolutionary stuff, it encapsulates the materiality of language and the mystery and uncertainty of experience. Personally, I found it exciting and refreshing that an Australian print journal would dedicate bravely an entire issue to such an experimental form. This entry was posted in Australian Poetry Journal, Bronwyn Lea, Issue 12, Reviewer, Stevi-Lee Alver and tagged Australian Literature, Australian poetry, Bronwyn Lea, Concrete Poetry, Karl Kempton, poetry by Mark Roberts. Bookmark the permalink.